Sara has worked in the health and fitness industry since 2001, starting out as a Personal Trainer at Fernwood while studying at the University of Ballarat. After graduating with a degree in Applied Science (Human Movement), Sara spent the next year traveling around Europe whilst living with family in the UK, returning in 2005 to complete her Graduate Diploma in Exercise and Rehabilitation. 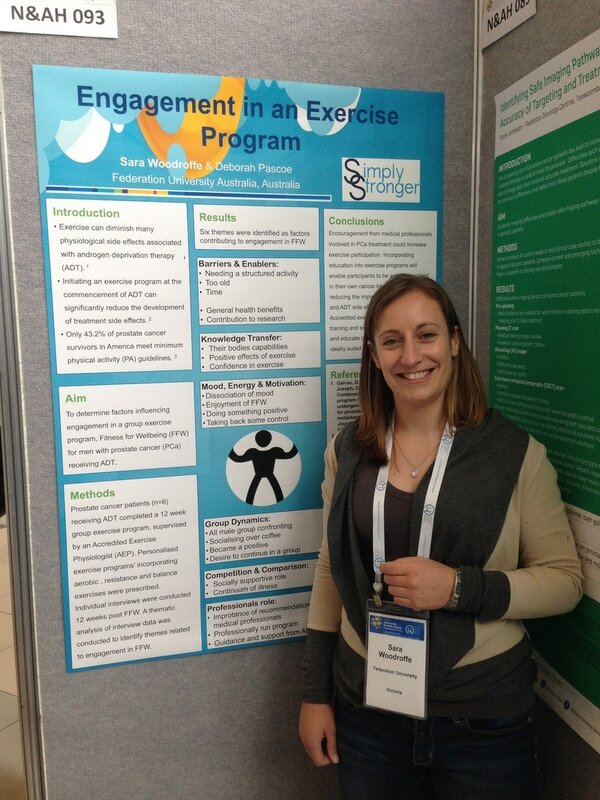 As a fresh faced Exercise Physiologist (EP) Sara spent a year at Heidelberg Repatriation Hospital, assisting war veterans with PTSD and other conditions to be more active. She then moved back into the industry of health and fitness working for 2Good Personal Training as an EP. 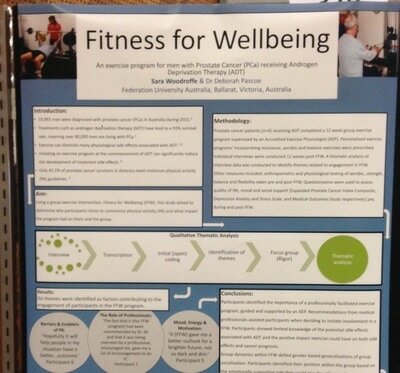 Here she continued to developed her skills in musculoskeletal rehabilitation and postural reconditioning. Later moving to Perfectfit Gym and Personal Training Sara continued to refine her skills working with both the general population and rehabilitation clientele. It was during this time she developed an interest in exercise and prostate cancer. 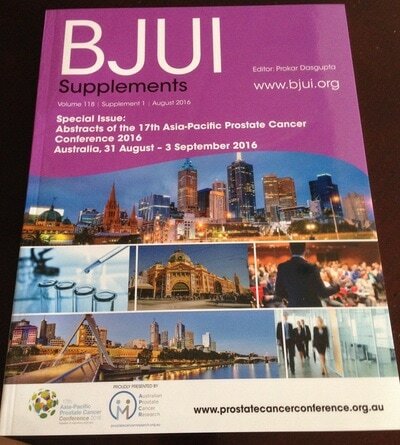 She conducted a pilot program in conjunction with Australian Prostate Cancer Centre looking to improve the physical function of men receiving androgen deprivation therapy (ADT) for prostate cancer. 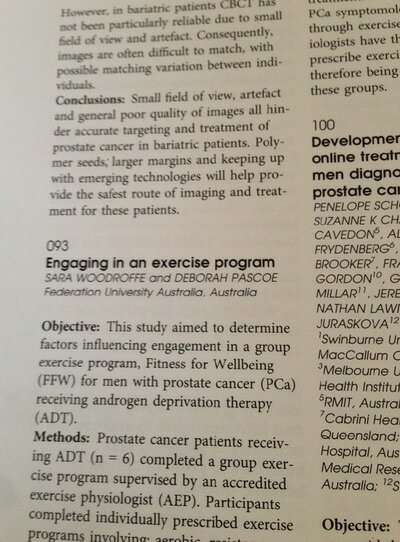 This introduction into prostate cancer led Sara to complete a Masters degree looking at the engagement of men with prostate cancer receiving ADT in a group exercise program. 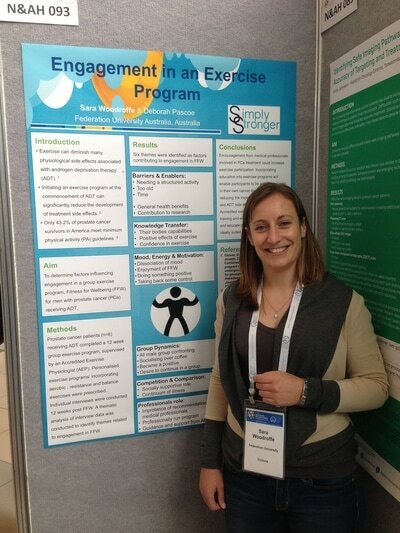 She has continued to work in the area of exercise and cancer, presenting her research at the 2016 ESSA (Exercise and Sports Science Australia) and Australasian Prostate Cancer Conferences. 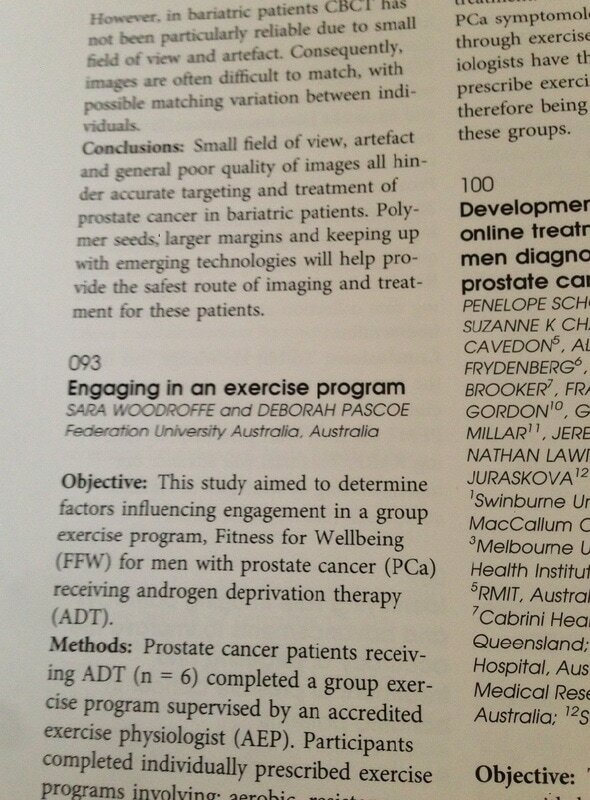 ISEAL Cancer Seminar "Fitness for Wellbeing an exercise program for men with prostate cancer receiving androgen deprivation therapy"
An oral presentation, a poster and an abstract published in the British Journal of Urology International, Supplement. A poster "Fitness for Wellbeing: An exercise program for men with prostate cancer receiving androgen deprivation therapy"
Team Simply Stronger made up of Sara, Anthony, Evan and Jack have entered in this years Trail walker. Starting at Lysterfield lake working our way up and over Mount Dandenong, through the east of Melbourne out to Fairfield to finish, a total of 100km covered to raise money for Oxfam. You can visit their team page here to see how their training is going or to make a donation.